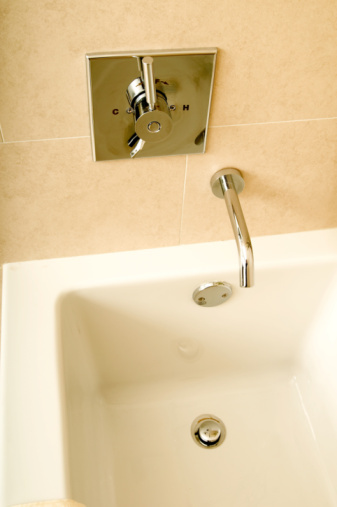 The standard shower drain is held in place with a screw driven through the center into a lower support. Other drain covers connect with no visible screws or support media. 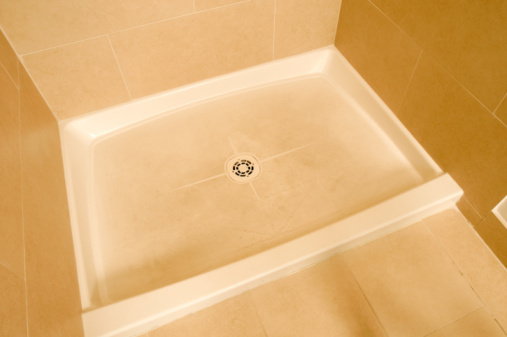 The basic type of drain cover, a snap-on cover, connects by simply snapping the drain cover into place onto the drain. The snap-on variety may be held in place with some silicone adhesive so it will require force to pull it free. The other type screws into place. It is a little more difficult to remove but can be done quickly by following these steps. The majority of strainers are held in place with one or two screws or adhesive. Spray some spray lubricant along the lip of the drain cover. Allow the lubricant to settle into the threads for a few minutes. Insert the ends of a pair of needle-nose pliers into any of the openings on the drain cover. The pointed ends should be on opposite sides of the drain. Hold a pliers firmly with one hand per grip and twist to the left. Screw-in type strainers and those that are held in place with industrial adhesive will slowly come free. Spray more lubricant as necessary.